I’ve worked in orthodontics since 1987, and have had the joy of working with Dr. Costanzo since 2004. He is funny, kind, and always willing to try new things. Our team works very well together; we are all like family to each other. 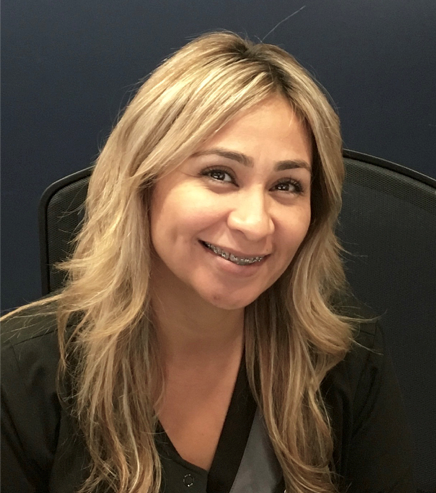 I enjoy meeting new people and making new friends, which is good, since I work one-on-one with our new patients as they begin orthodontic treatment. I was born in France and have traveled all over the world as an “Army Brat,” before settling in Fresno. I am a proud mother of my beautiful daughter, Meagen, and a proud grandmother to her son, Emmitt. I love animals and have four Chihuahuas! When I have free time I enjoy going to the beach and the mountains. I was born and raised here in Fresno, CA, and it looks like I’m here to stay! I graduated from Central East High School in 2000 and attended Galen College. I came to this office to do my required training and I was lucky enough to have been hired! It’s been a lot of fun to interact with patients and watch so many of them grow up right in front of my eyes. I love to spend my free time doing photography and spending time with family. I have been in the dental field nearly three years. I have three wonderful, handsome boys and they are my world. Outside of work, I love spending time with my family, taking trips, and being outdoors. 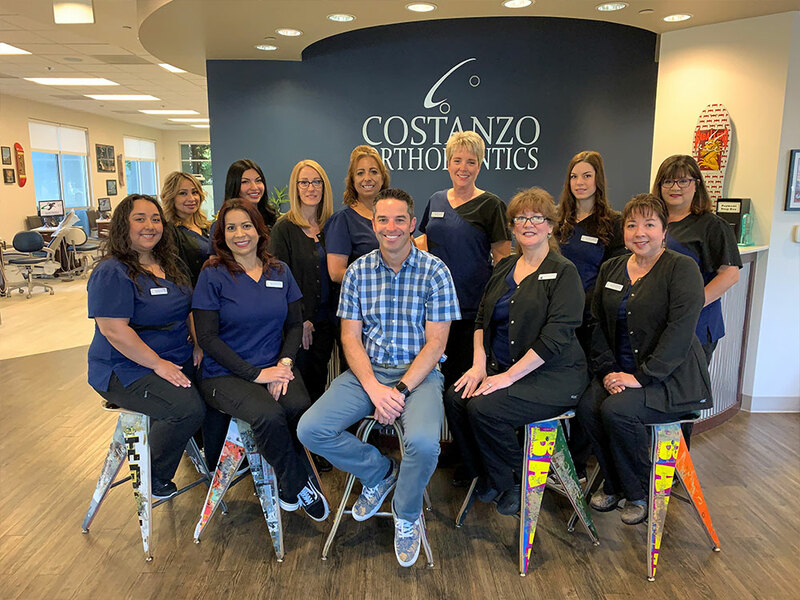 When I first walked into Costanzo Orthodontics, I knew I had found my 2nd home. All of the staff are very warm hearted. Dr. Costanzo is an amazing orthodontist and I am very blessed to be a part of a wonderful work family. I can honestly say I love my job. The best part of my job and what is most rewarding for me is to see our patients walk out with such beautiful smiles. I received my registered dental assistant training at Monterey Peninsula College and have enjoyed working in this practice since 1988. I enjoy working alongside an amazing doctor and a wonderful staff, and being a part of creating beautiful smiles. Everyone here has a unique personality and altogether we make a well-blended atmosphere. We are a really fun-loving and professional team. I enjoy life with my wonderful husband Randy, and our dog, Dot. We often go camping and visit family and friends. The most important aspect of my job is helping patients understand the treatment process as it relates to their cooperation and oral hygiene while in treatment. I’ve had the pleasure of being an RDA since 1994, and joined this practice in 1998. Dr. Costanzo is truly a humble person. His kindness is displayed without question as he interacts with staff, patients, and parents. Our staff seeks to put patients first and works together to see patients on time while giving them the attention needed. My husband Gary and I have been married since 1983. We have three children, Sarah, Jacob, and Hannah, three dogs, and one cat. When I have free time, I enjoy volunteering in my church and at the Pregnancy Care Center. Growing up I always wanted to be a Dentist. This is what led to my career as a Registered Dental Assistant. 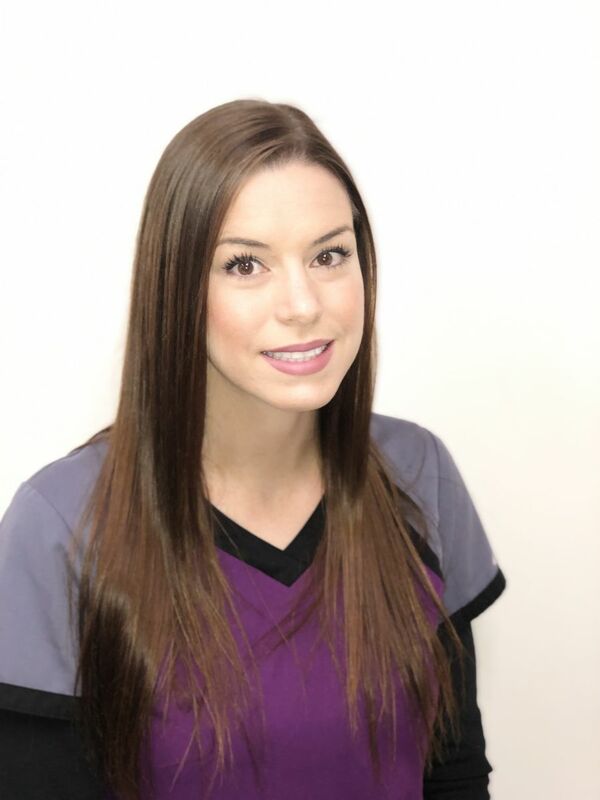 I have worked in the dental field since 2010 while maintaining a second job and continuing to pursue a higher education. The most rewarding part of my job is helping other to love their smile and to enjoy smiling more often. When I am not working I enjoy being outdoors. I love learning new things and exploring unknown places. I also enjoy taking drives to the mountains, four wheeling down dirt roads to fish, camping, riding my dirt bike, and soaking up the sun while snowboarding. In my spare time when I am not outdoors, you can find me in the garage working on cars and welding. I was born and raised here in Fresno and attended San Joaquin Valley College for my dental training. I received my license in 1996 and joined this team shortly after. I enjoy working with so many people from our community and helping to change lives with a great smile. Dr. Costanzo is so wonderful, and the rest of the team is so awesome! We all try to create a fun and happy environment in our office. At home, I enjoy crocheting and working out while listening to great motivational music. I love spending time with my two lovely cats named Bonnie and Smokie, sharing great moments with Vincent, my precious godchild, and camping with my darling husband Frank and our beautiful puppy dog Zoey. I was born in Los Angeles and grew up in the Central Valley, graduating from San Joaquin Valley College for my dental training in 1991. I joined Dr. Costanzo’s house of fun in 2005 and am happy to say it feels like home! It is so exciting to watch the transition of a patient’s self-confidence when they improve their smile. I also enjoy working with a wonderful group of people! I am a very proud mother of four children and a grandmother of three. A three-year cancer survivor, I am very involved with my family in giving back to our local cancer society. I also love sports! A Fresno native, I graduated from Edison Computech and went on to Fresno State. I have been an RDA working in orthodontics since 1990. I absolutely love all aspects of my job, from interacting with the patients to working closely with Dr. Costanzo on the technical aspects of a challenging case. I like to think “outside the box” for creative solutions to amazing smiles. Working with Dr. Costanzo and our staff has been enriching and rewarding. We have such amazing teamwork that we can tackle anything! I am a single mom of two wonderful sons. I am actively involved in parent booster groups for their school and marching band. I love to contribute positively to the world around me in any way I can. I have been in the dental field for over 13 years and I absolutely love what I do. Helping others with their smile is so rewarding. I love working for Dr. Costanzo! He is one amazing Doctor with great talent. The environment his office provides is so energetic and full of life! My husband Eddie and I have been married for 8 years and we have 3 beautiful amazing children named Jonathon, Audrina, and Ariya. When I'm not in the dental office setting I am a health coach to the community, helping others learn that the healthy life is its own reward.